I2C or IIC (Inter-Integrated Circuit) is a simple bidirectional serial interface, which requires only 2 signal lines for data transfer. It was originally developed by Philips in 1980′s to provide easy on-board communications between a CPU and various peripheral chips in a TV set. Today, it is widely used in varieties of embedded systems to connect many low speed peripherals, such as external EEPROMs, sensors, LCD drivers, port expanders, real-time clocks, etc, to the host microcontroller. 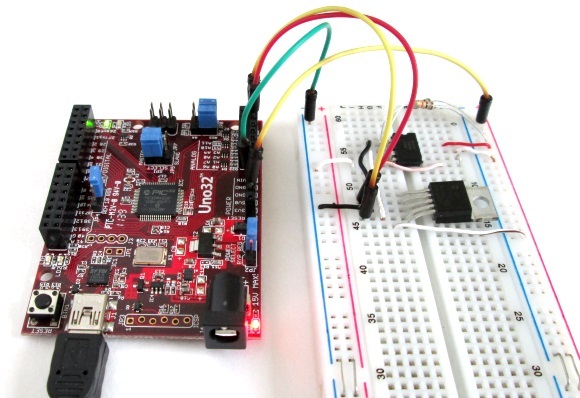 In this tutorial, we will explore the chipKIT Wire Library for establishing an I2C communication link between the chipKIT Uno32 board and two I2C sensors. The Uno32 board receives the sensor outputs through the I2C link and displays the results on the serial monitor window on the computer screen. I2C (Inter-Integrated Circuit) is a short distance serial interface that requires only 2 bus lines for data transfer. It was invented by Philips in 1980’s, originally to provide easy on-board communications between a CPU and various peripheral chips in a TV set. Today, it is widely used in varieties of embedded systems to connect low speed peripherals (external EEPROMs, digital sensors, LCD drivers, etc) to the main controller. 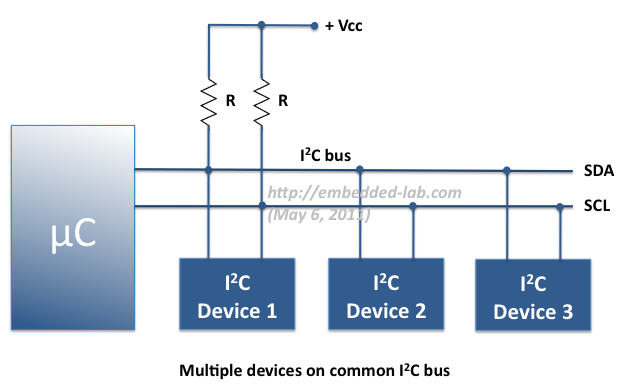 In this experiment, we will cover an overview of I2C protocol, its implementation in PIC microcontrollers, and the method of connecting single and multiple devices on a common I2C bus. 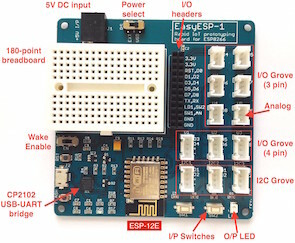 We will demonstrate the technique by connecting two I2C EEPROM chips (24LC512) and an I2C compatible temperature sensor (DS1631) with PIC18F2550 microcontroller.